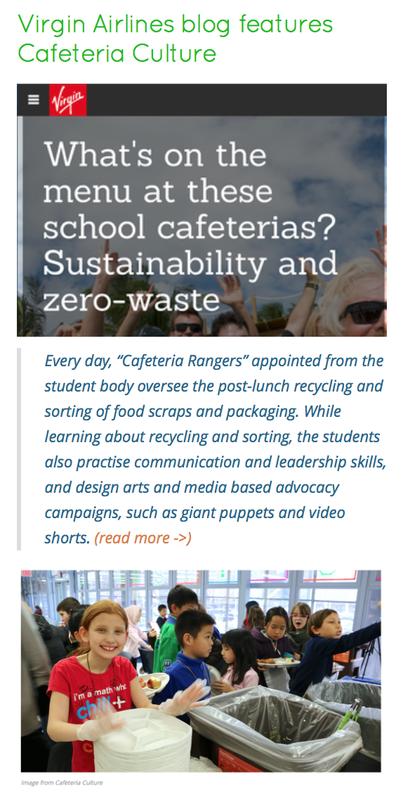 ​Cafeteria Rangers Are Learning How to Reduce School Waste Cafeteria Rangers from PS 188 the Island school spoke with WNYC report Shumita Basu for Earth Day! ​Hear what our Cafeteria Rangers have to say! Green Inside and Out Interview with Cafeteiria Culture Director Debby Lee Cohen on WUSB radio from Stony Brook Univeristy, NY. 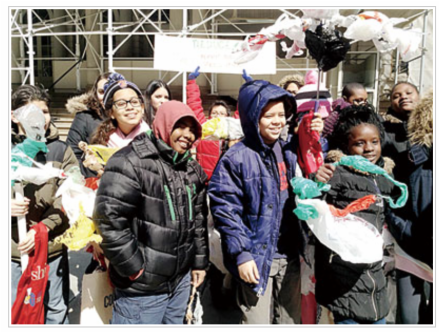 Thank you to the students and parents from CafCu partner schools who came to the rally: NEST+m 3rd graders (pictured below), MS246 Walt Whitman 8th graders, Tompkins Sqaure Middle School 7th graders, and The Earth School, 5th graders. 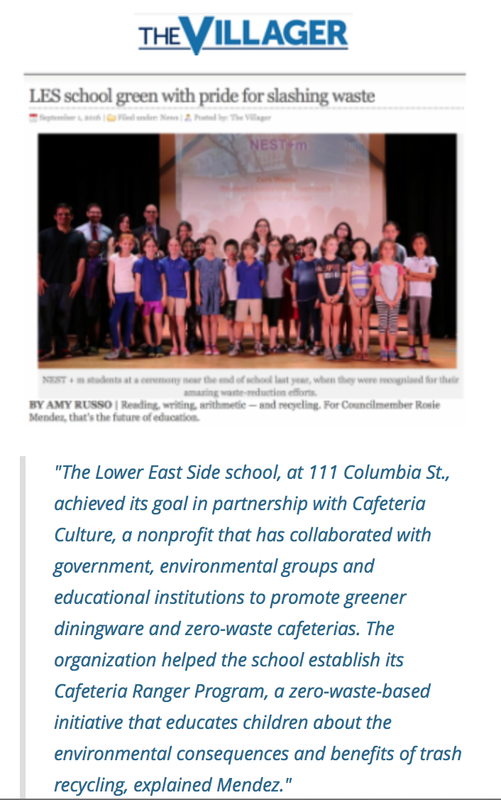 ​​​MANHATTAN — City schools will begin to phase out Styrofoam lunch trays this month in favor of eco-friendly compostable ones, the Department of Education is expected to announce Wednesday. 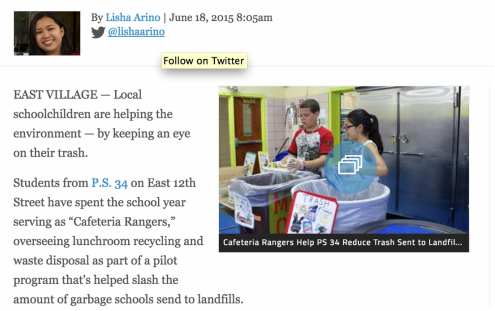 "It's really gigantic that New York City is doing this," said public school mom Debby Lee Cohen, who co-founded Cafeteria Culture, which is piloting a program to improve school participation in the composting program. Cohen wants to make sure students, teachers, administrators and custodians understand why schools are making the switch. Cafeteria signs about what to sort is insufficient without classroom education on why kids are sorting, she said. 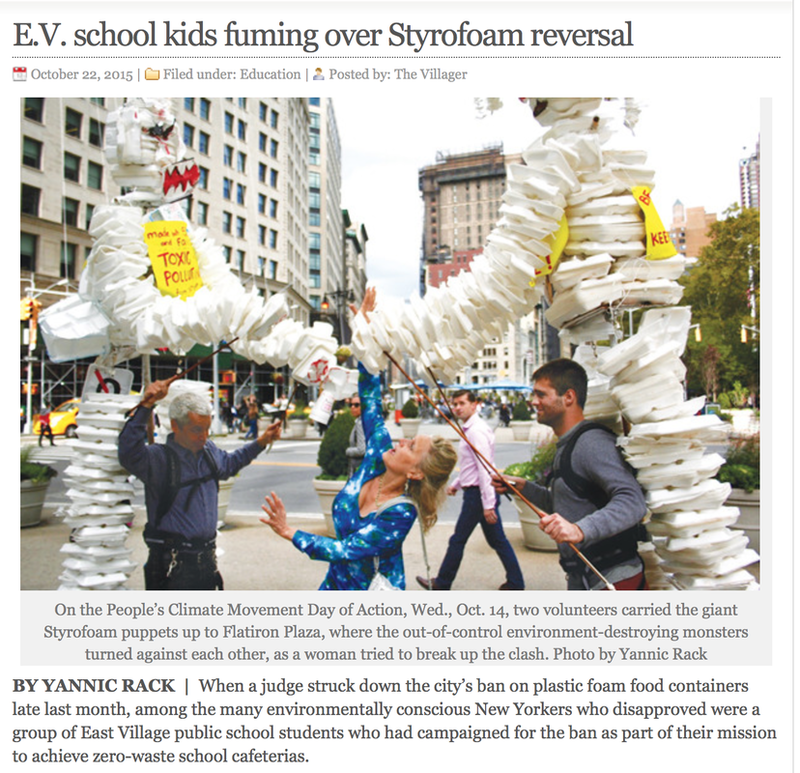 CafCu's giant no-styro data Puppets and PS 34 M's fabulous ECO-stars, alum of our ARTS+ACTION program, made the press! Watch them all here! "School Lunchroom Movement Wins NY Styrene Fight"
"The decision marks the culmination of a six-year fight that started over styrene use in the city’s public school lunchrooms. 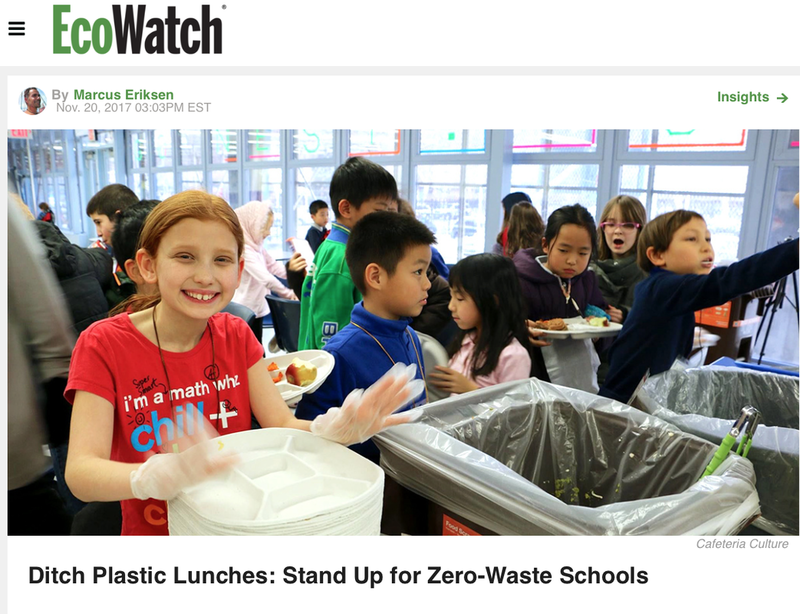 Debby Lee Cohen, a public school mom and the director and co-founder of Cafeteria Culture, mustered for action with other environmentally-minded moms and teachers in the spring of 2009 to stop the waste of millions of polystyrene trays per day. 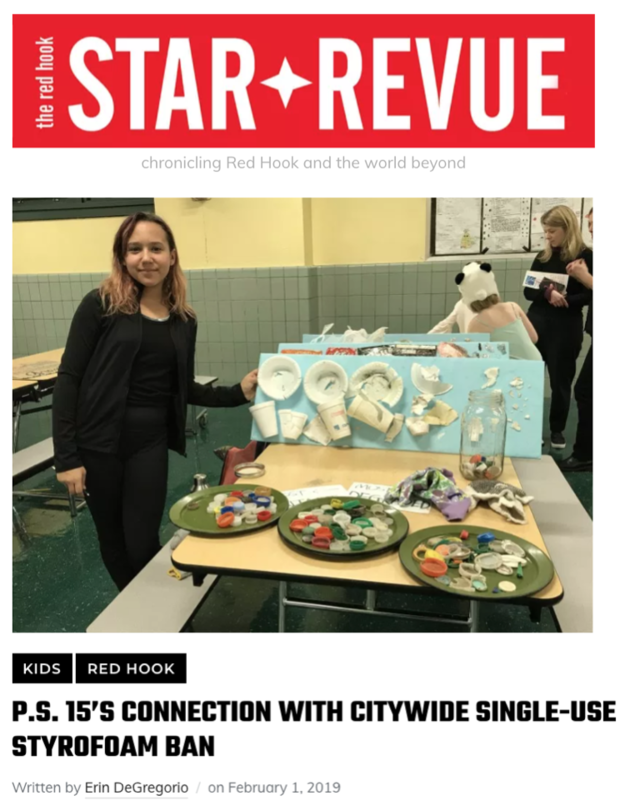 Soon after, they launched a kid-driven pilot project to sort waste in lunchrooms, and 15 other groups in the city took up the cause. Cafeteria Culture has pushed for compostable trays to replace polystyrene ones, and spurred collective purchasing to keep costs down." 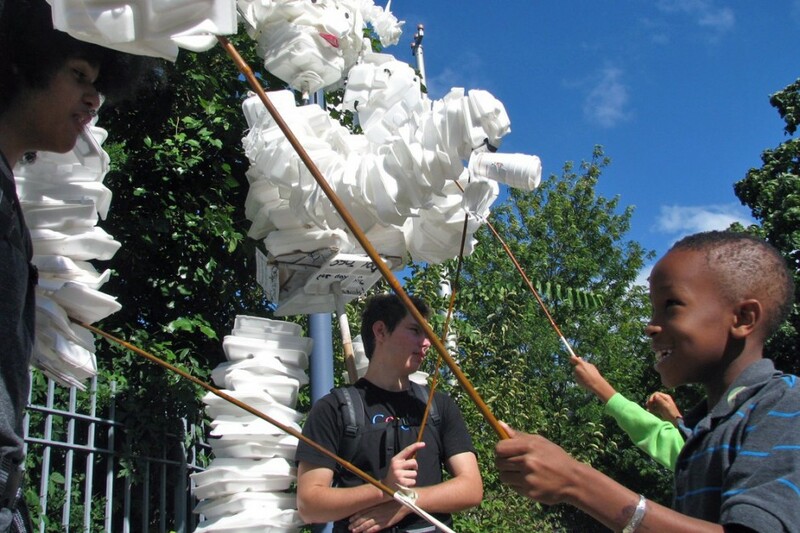 Cafeteria Culture's giant No-styro Puppets and our PS 34 M Eco-stars! "Reduce, refuse, recycle: Reactions to proposed Styrofoam ban"
“It would be irresponsible for the City Council to support the manufacture, use and industry-backed recycling scheme of a food container made with the carcinogenic chemical styrene, when there are plenty of affordable safe alternatives,” said Debby Lee Cohen, founder and director of Cafeteria Culture, just one of over 500 neighborhood/student groups that see the citywide restriction of Styrofoam sale as an improvement that puts public health and the environment first." 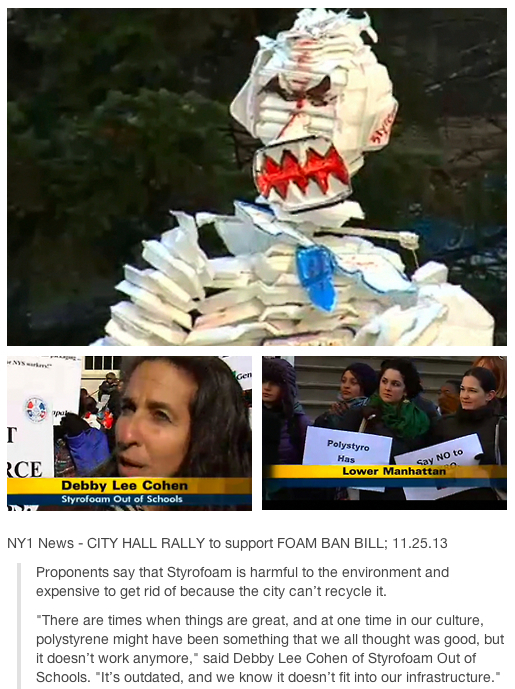 WNYC News Foam: Ban it — or Recycle it? Monday, November 25, 2013 WNYC, LISTEN here! 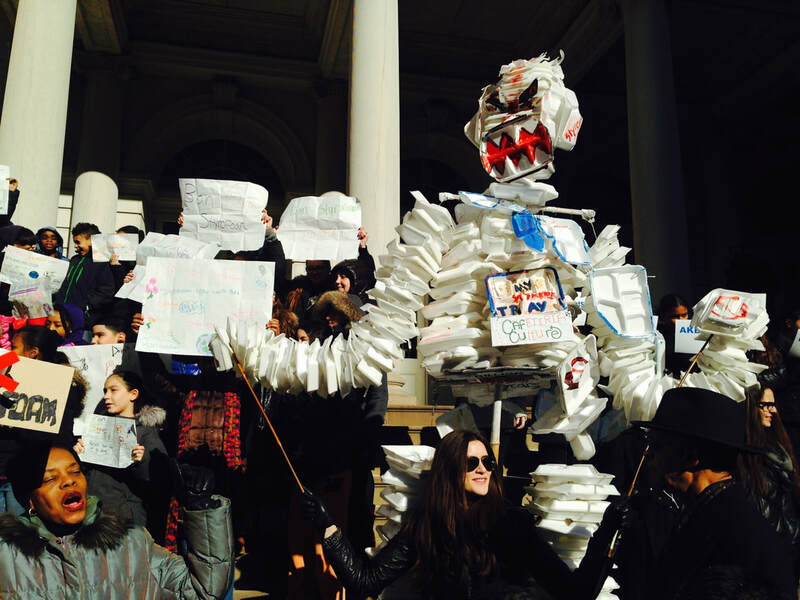 Two foam monsters made out of dirty cups and take-out containers towered 20 feet high on the steps of City Hall as schoolchildren urged council members to pass a bill to ban foam plates and cups, because they are not biodegradable. 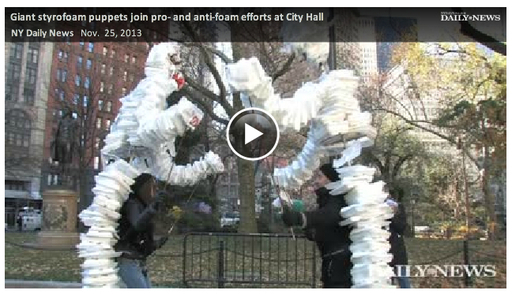 Instead, those foam objects sit in landfills for 500 years, says New York City Deputy Mayor Cas Holloway. 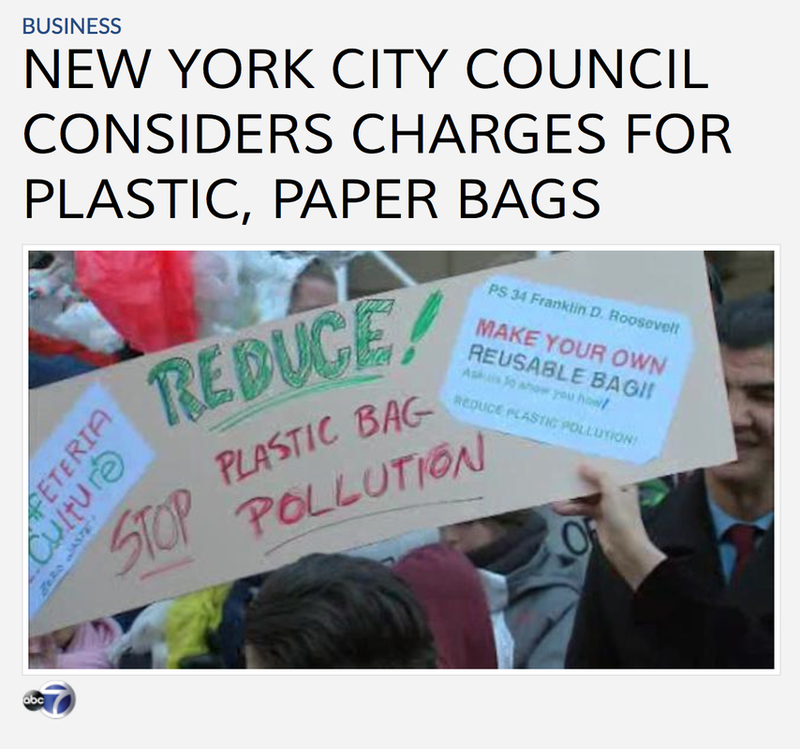 But the foam manufacturers and lobbyists who oppose the ban are pushing for program which would instead require foam products in the city to be recycled – not just cups and take-out containers, but the block-like foam that comes when you purchase a television. 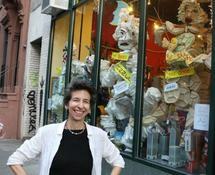 Reporter Sarah Gonzalez spoke with Host Amy Eddings about the challenges of recycling foam in New York City, and the cost to businesses and consumers if the foam ban passes. New Compostable Plates replace foam trays in the 6 largest US School Districts! "Nothing seemed special about the plates from which students at a handful of Miami schools devoured their meals for a few weeks last spring — round, rigid and colorless, with four compartments for food and a fifth in the center for a carton of milk. That would be some 271 million plates a year, replacing enough foam trays to create a stack of plastic several hundred miles tall." "The districts are also aiming for more eco-friendly practices — replacing polystyrene and plasticwith biodegradable trays and flatware, for instance." " Thus, NRDC, as part of our overall food advocacy work in New York and around the county, is thrilled to be working closely with the Alliance. Like these school districts, we see huge potential through this unique coalition to build new national markets for sustainable food and other products. We're also pleased to be working with the many groups who have done such great work to date—some real local and national school-food leaders including School Food Focus, Cafeteria Culture, Wellness in the Schools, and New York City Coalition for Healthy School Food. "'Food service leaders also want to make the meals more appealing, so there may come a day when students get their meal on a plate rather than a tray -- just as they do at home,' Binkle said. There's even talk of getting rid of the spork." "'We want to give a national voice to a healthier meal program where costs are contained,' says Eric Goldstein, chief executive officer of School Support Services for the New York City Department of Education, who spearheaded this alliance. 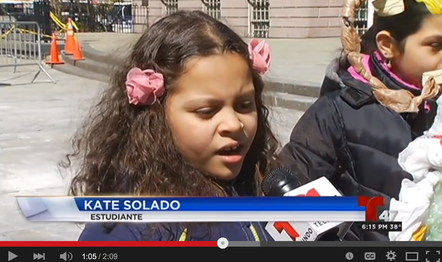 for being early supporters of a NYC styrofoam ban! Earth Day 2010, STYROFOAM BAN Press Conference, 2010: NY State Senator Liz Krueger, then Public Advocate Bill de Blasio, Assemblymember Brian Kavanagh, NYC public school students, and Cafeteria Culture's Debby Lee Cohen, speaking passionately about eliminating Styrofoam trays in schools. 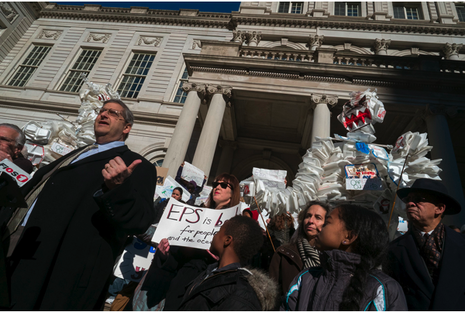 "Giant styrofoam marionettes were used at City Hall on Monday to protest the use of the material in New York City school lunch trays, WCBS 880′s Rich Lamb reported. 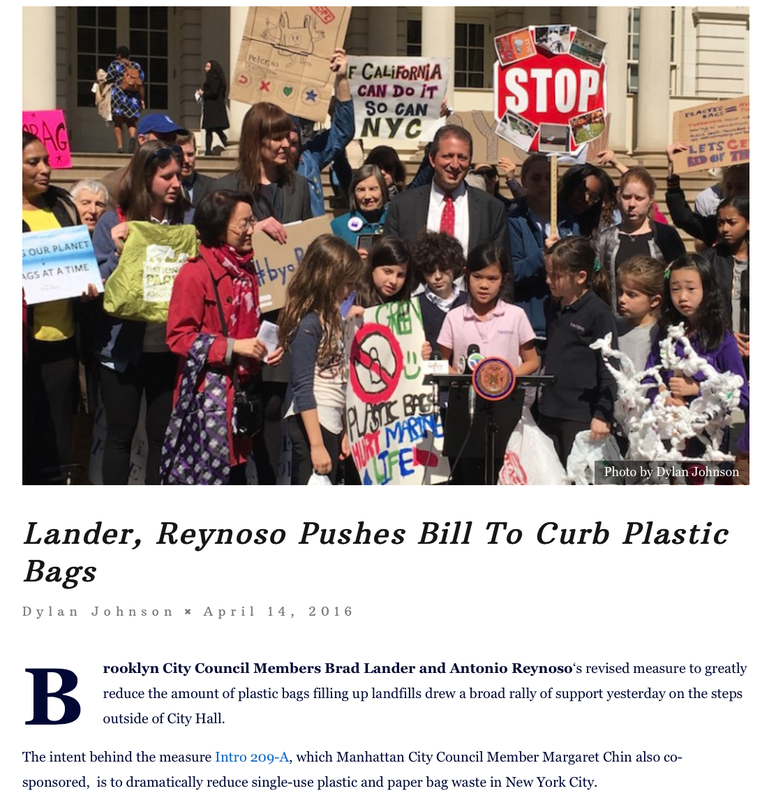 Cohen praised the city’s Department of Education for eliminating Styrofoam trays on Tuesdays, when paper boats are used, but insisted that more must be done."